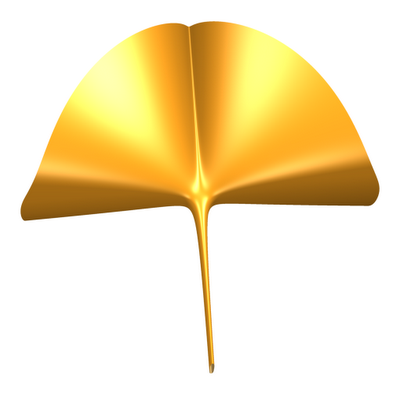 This Ginkgo leaf is made with surfex (10*x^4-10*y*z^2-0.05). More info about surfex (visualization of algebraic surfaces) on this website. Photo on Picasa by Franzi.